At the line speed where heterogeneous and homogeneous transport meet, there will be a transition between the two regimes. This transition depends on a number of velocities. If the thickness of the viscous sub-layer is bigger than the particle diameter, the particles will be subjected to Magnus lift. This Magnus lift will carry out work, resulting in higher pressure losses. If the velocity at which this occurs is near the transition velocity, this will play a role. If the turbulent lift force equals the submerged weight of the particle, this lift force will prevent the particles from hitting the bottom of the pipe, resulting in a sudden drop of the pressure losses. At slightly higher line speeds the lift force is strong enough to push the particles into the turbulent flow, where turbulent dispersion will take care of further mixing. In between there may be a gap resulting in almost no additional pressure losses. 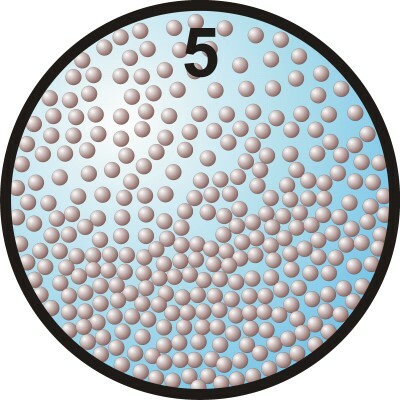 This occurs for particles with diameter from 0.1-0.5 mm with bigger pipe diameters. The pressure losses can be determined according to Miedema et al. <?xml:namespace prefix = "w" ns = "urn:schemas-microsoft-com:office:word" />(2013). 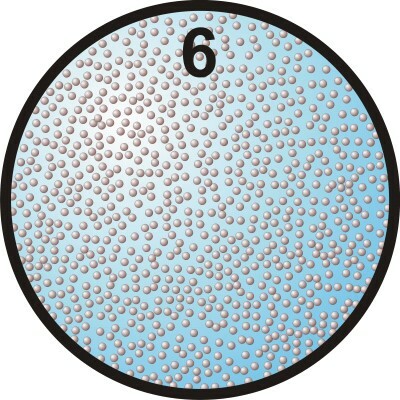 The Shields parameter is very high above the Shields curve, resulting in a suspension. The total pressure loss is determined by the collisions between the particles and the bottom of the pipe if they are present and by the work carried out by lift forces and turbulent dispersion.